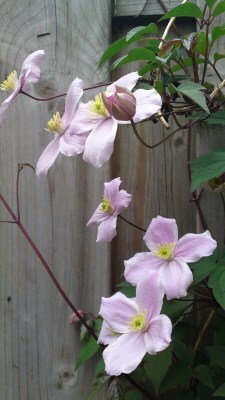 I was happy to see the clematis blooming away a couple of weeks ago. 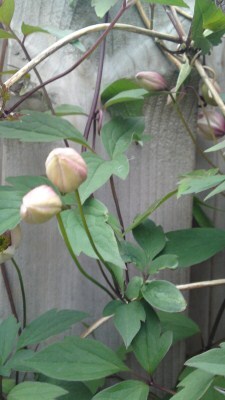 Last year they were small and came too early in April and died out fast. 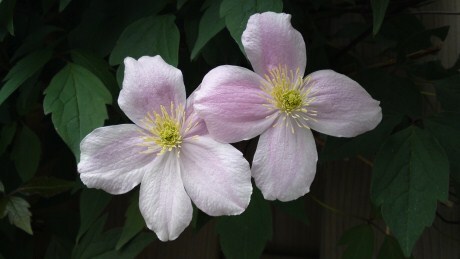 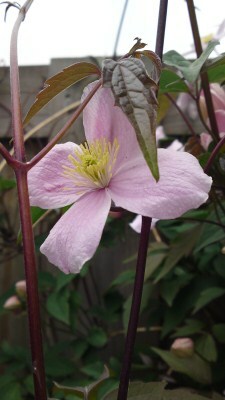 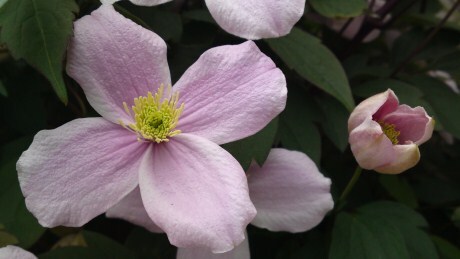 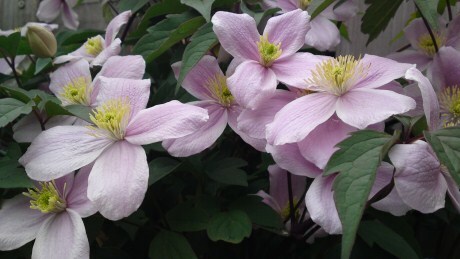 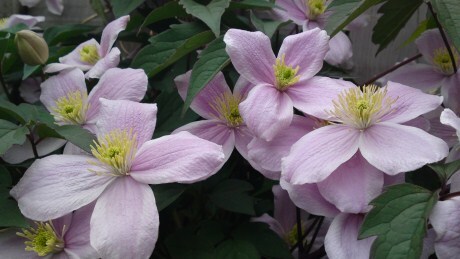 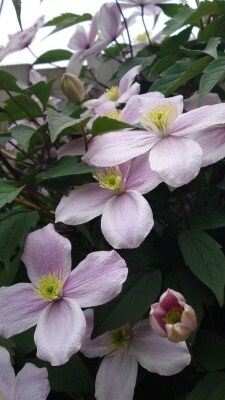 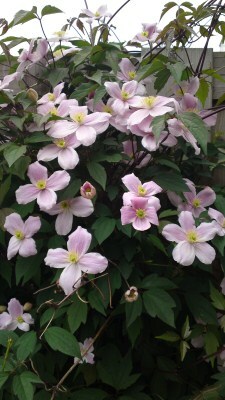 But this year the clematis plant was on schedule as usual with stunning flowers in early May. 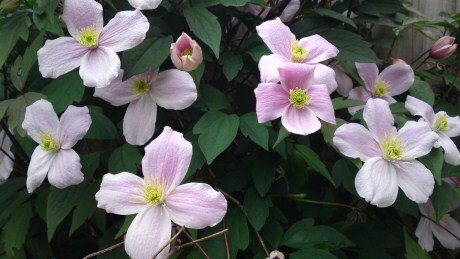 I took these photos with my Satio since it was in my pocket and I didn’t feel like grabbing the camera. 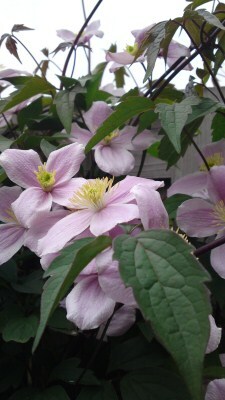 The photos turned out well even though it was a rainy and cloudy day.